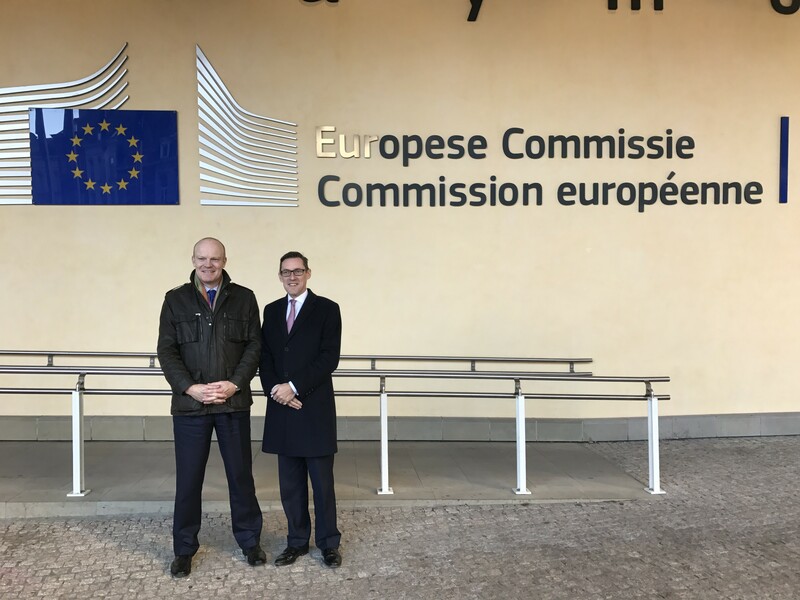 The Chief Minister of Guernsey, Deputy Gavin St Pier, and the Chief Minister of Jersey, Senator Ian Gorst, visited Brussels on 29 November. It was the fourth visit at Chief Minister level in the past 3 years following the visits in January 2014, May 2015 and January 2016. It was the first since the UK referendum in June. Meetings were held with the UK Permanent Representation to the EU, with the Permanent Representatives of Ireland, France, and Estonia (which will hold the EU Presidency in the second half of 2017), as well as with political advisers to the EU Commissioners responsible for financial services and taxation. A networking event was held as part of the Brussels Invest Week at which Deputy St Pier gave a speech on the contribution of the Channel Islands to investment in the EU.